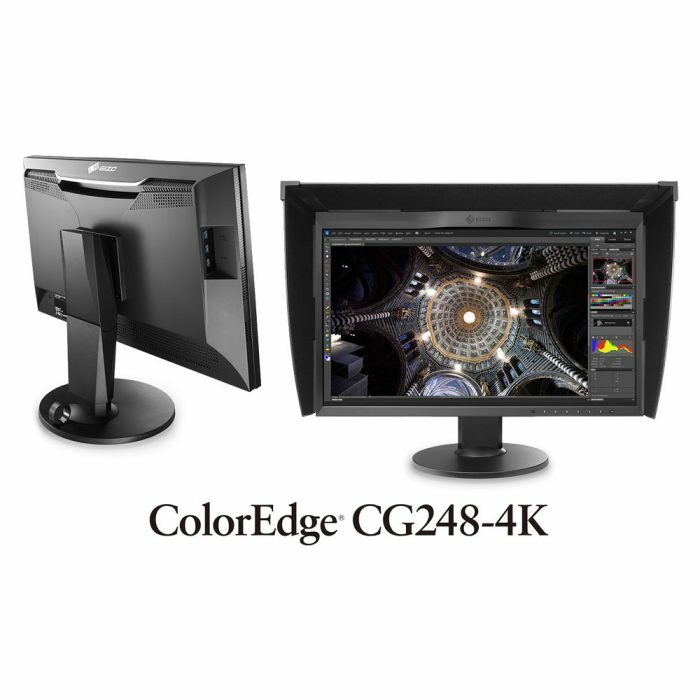 The EIZO ColorEdge CG247X LCD Monitor monitor is ideal for post production editing and video creation with precise colour management and a range of features included to meet the needs of the media and entertainment industry. 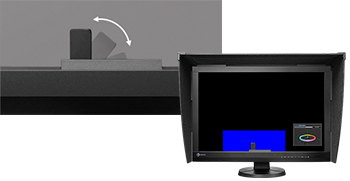 Automate your calibration with the sensor that is housed within the front bezel. 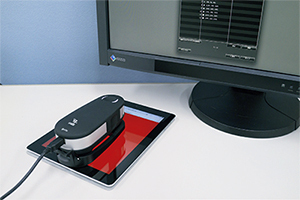 The sensor swings onto the screen only when calibrating, eliminating the need for a third-party calibration device. It even operates while the monitor is in portrait mode. Using either the OSD menu or the bundled ColorNavigator software, you can schedule the monitor to self-calibrate at specific times. Even if the monitor is switched off or not connected to a computer, it will stick to its preset schedule and self-calibrate. 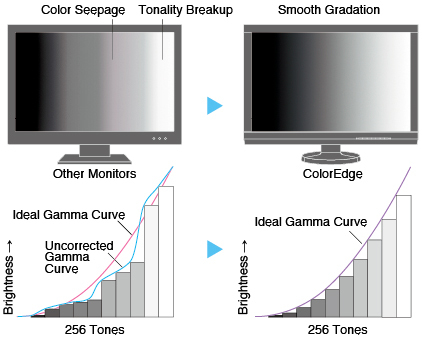 To properly manage color in your work, it is necessary to ensure your monitor maintains consistent settings. The bundled ColorNavigator 6 software allows you to easily carry out calibration. Simply select the desired preset or assign values for brightness, white point, and gamma. 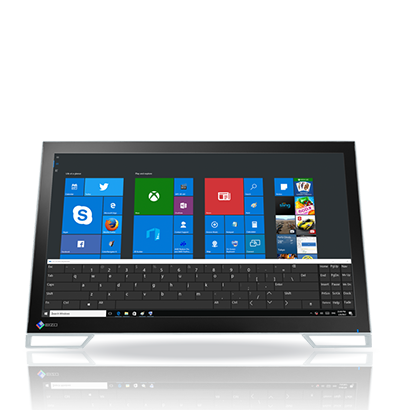 The built-in sensor directly utilizes the monitor’s look-up-table and creates an ICC profile within minutes. 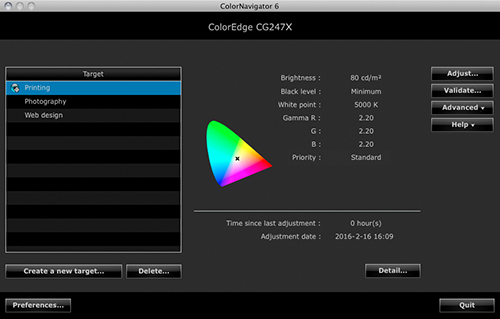 The CG247X supports ColorNavigator NX quality control (QC) software. 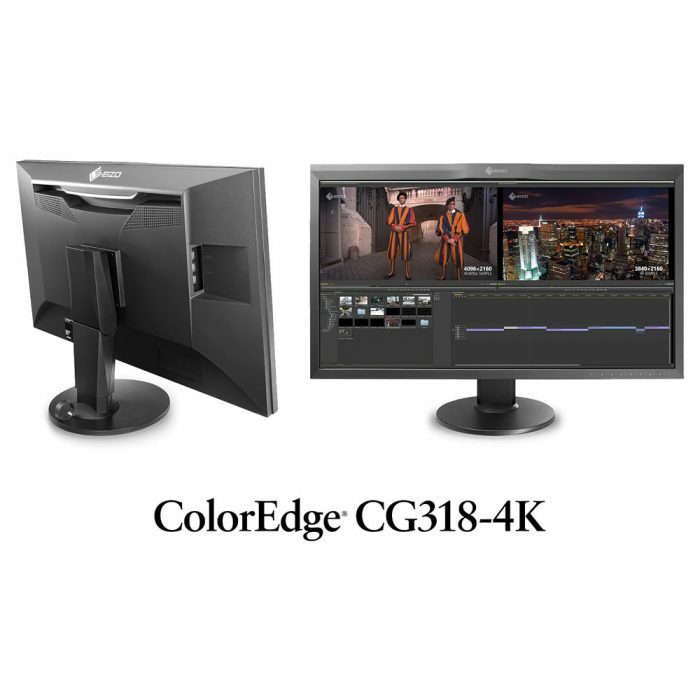 It offers asset management of client ColorEdge monitors and covers calibration, emulation, built-in sensor correlation, and color mode settings. 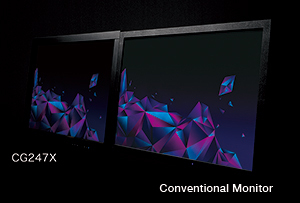 With ColorNavigator NX, calibration information is saved to the monitor instead of the PC’s operating system so you do not have to recalibrate if connecting to more than one PC. The software is most effectively used with EIZO’s ColorNavigator Network solution. ColorNavigator 6 emulates the color characteristics of other media devices such as tablets, smartphones, notebook PCs, and other LCD/CRT monitors. With a spectophotometer, ColorNavigator 6 reads the emulated device’s color patches as they appear in the web browser and creates an ICC profile. 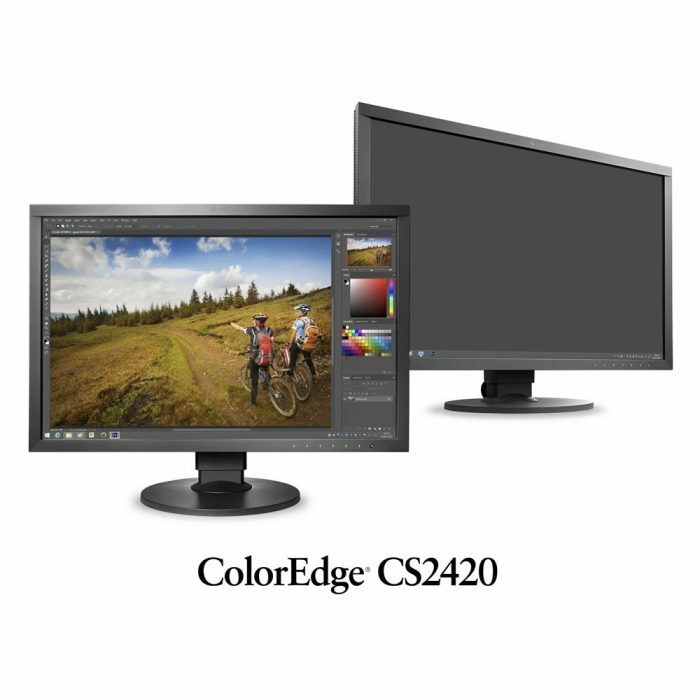 By using this profile with a ColorEdge CG monitor, content creators can see how their clients view color on their respective devices. This wide-gamut monitor faithfully reproduces 98% of the DCI-P3 standard used in digital cinema. Preset modes for EBU, Rec. 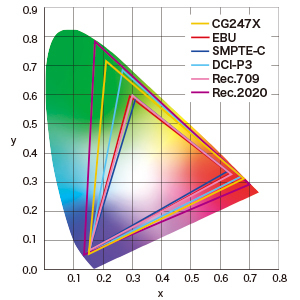 709, SMPTE-C, and DCI ensure you can work in the appropriate color spaces and gamma values. In addition, sRGB and Adobe RGB modes are also included. You can easily switch between presets via a button on the front of the monitor. With the built-in calibration sensor, you can adjust or maintain the brightness setting for each preset. In compliance with the DCI standard, the ColorEdge CG247X offers a high contrast ratio of 1500:1* for producing true blacks that are otherwise difficult to display on a typical LCD monitor. 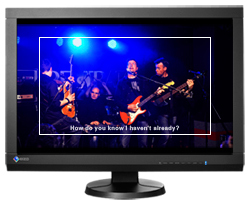 When viewing the screen from an angle in a dimly lit room, dark tones typically appear washed out due to the display characteristics of LCD backlights. The CG Series is equipped with a retardation film which allows tones to retain their depth even when viewed from an angle. *Typical value when DUE Priority is set to “Brightness”. 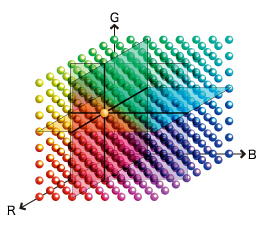 A 3D LUT is included which adjusts colors individually on an RGB cubic table. With the bundled ColorNavigator software’s emulation function, the 3D LUT applies a film look to the image so creators can check how it will be seen by their audience. 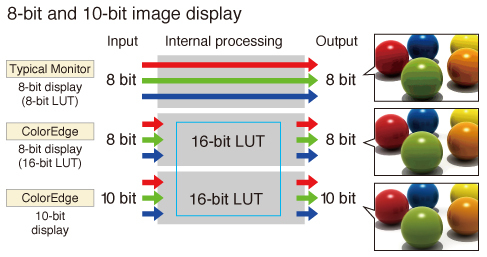 The 3D LUT also improves the monitor’s additive color mixture (combination of RGB), which is a key factor in its ability to display neutral gray tones. 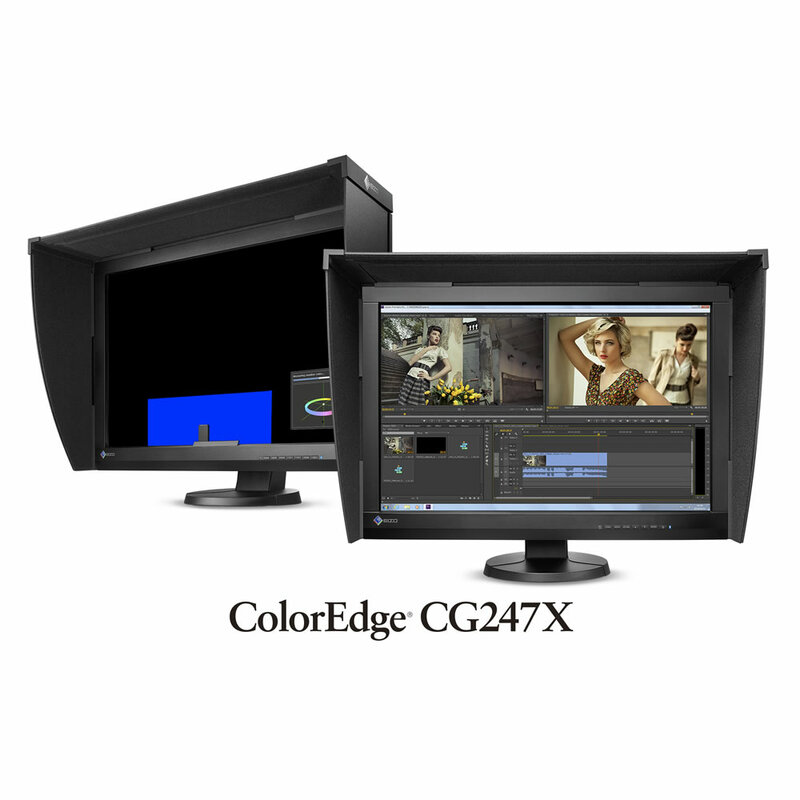 Using the DisplayPort or HDMI inputs, the ColorEdge CG247X offers 10-bit simultaneous display* from a 16-bit look-up-table (LUT) which means it can show more than one billion colors simultaneously. This is 64 times more colors than you get with 8-bit display, resulting in smooth color gradations and reduced Delta-E between two adjacent colours.